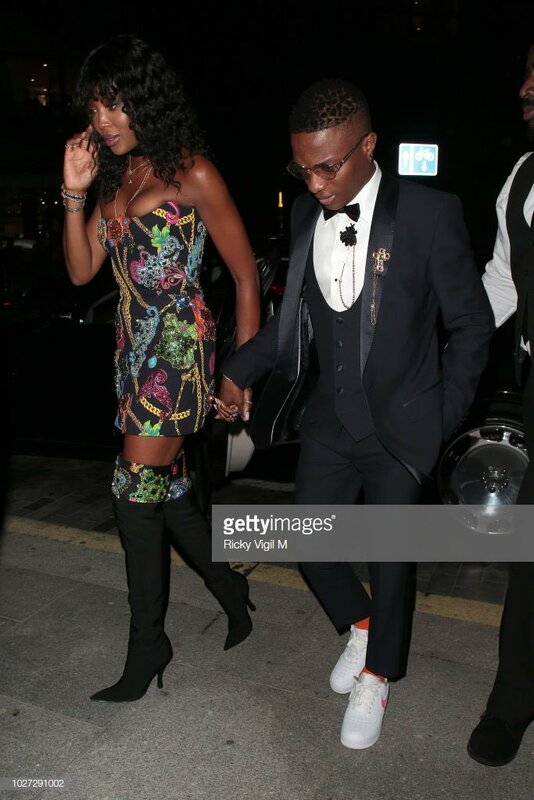 Ayo Balogun professionally known as Wizkid, 28 was spotted at the recently held GQ man of the year awards with English model, Naomi Campbell, 48. The star-studded award ceremony took place at the Tate Modern, London, on Wednesday where Starboy was captured walking hand-in-hand with Naomi. Fans are already talking about how comfortable the two looked in each others company. Wizkid dressed up in a three piece suit and a sporting white Nike sneakers look dapper on the red carpet. Naomi who was honoured with the fashion icon of the year award and made a daring fashion statement on the red carpet wearing a tube gown.